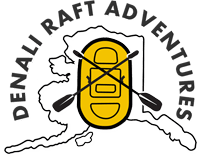 Your rafting adventure starts near the Denali National Park entrance, and ends downriver in Healy, Alaska. Round-trip transportation provided. Get the whole enchilada on this combination of the “McKinley” and “Canyon Run”. A brief break in the middle gives you time for a quick snack if you wish to bring one. 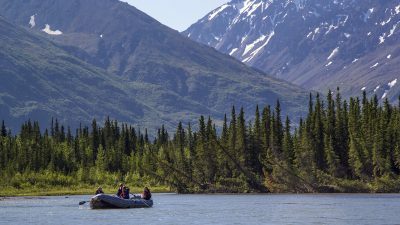 Begin with the “McKinley Run” A spectacular trip over class II, III water through the most scenic and beautiful portion of the Nenana River. This is your chance to sit back and enjoy the rugged wilderness. Continue on with the “Canyon Run”! Hang on! It’s whitewater ahead! You’ll get wet and enjoy every minute of it as we head for Healy. 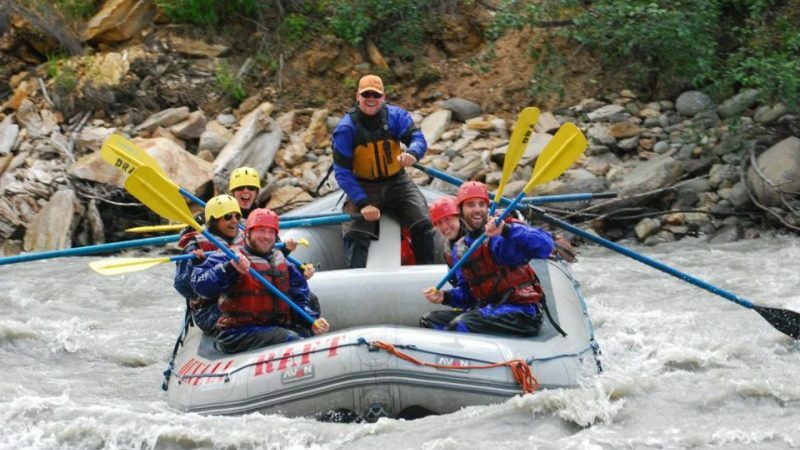 Get into real whitewater rafting as you hang on through thrilling rapids such as “Cable Car,” “Coffee Grinder,” and “Ice Worm”! You have your choice of Oar Rafts or Paddle Rafts (It takes 5 participants to paddle, when possible we combine parties to reach five or more). Both oar rafts and paddle rafts run the same rapids on the river. 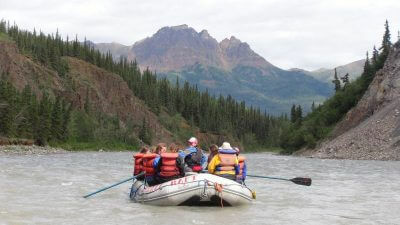 Perfect for 1st timers, an oar raft, is rowed by the guide while rafters sit, hold on and enjoy the view. In a paddle raft you will be expected to follow instructions and be an active participant by paddling the raft down river. You still have a guide but everyone has a paddle and the guide instructs you on how and when to paddle. Our Shuttle Service provides pickup from local lodging, plus transportation to and from the river. Class I, II, III. and IV rapids. $138.00 per person – Oar Boat. $138.00 Paddle Raft (12 & older, requires 5 paddlers). 22 miles of scenic to rugged river. Plan to be with us 5 1/2 hours. We provide a Gore-Tex drysuit, neoprene booties, and a life jacket. To book a raft tour a 50% deposit is required at time of booking. Cancellations after time of booking will incur a 10% cancellation fee, there will be no refund available for trips cancelled within 48 hours of departure time. All trips depart rain or shine. If you would like to apply a discount please note it in the comments and questions portion during the reservation process and we will apply the discount to your reservation. All Drysuits have latex gaskets on the neck, wrists and socks. Please inquire if you have a latex allergy. Trips are offered from May 20th to September 10th seasonally. We offer discounts for AAA, Military, and groups of 10 or more. Call or email for more information. Last minute arrivals are always welcome, but to guarantee space on the trip of your choice, reservations are highly recommended. Trips fill up quickly, so please make reservations early. 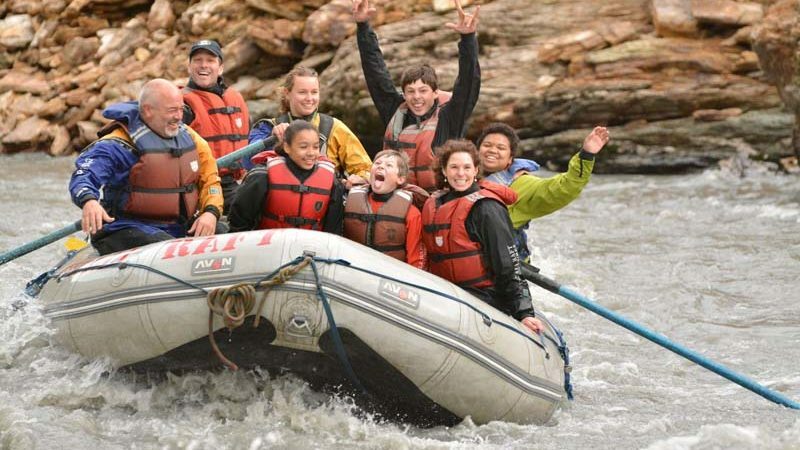 Choose the Denali Rafting Adventure that’s Right for You! 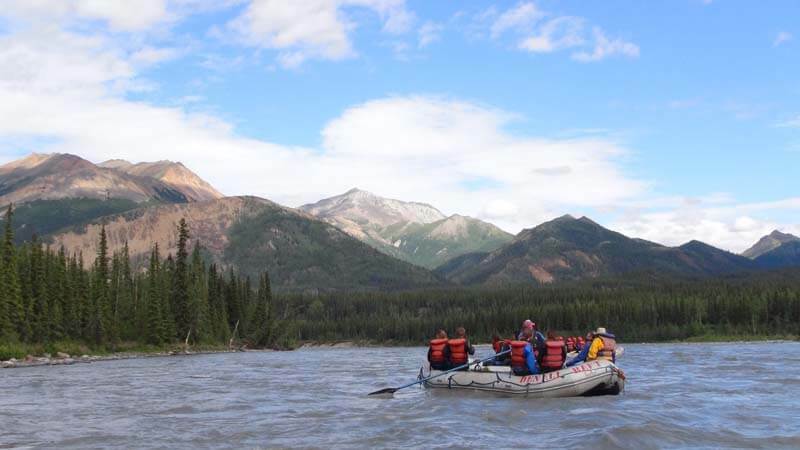 Whitewater rafting, or a mild water float down the Nenana River. Recommended age 5 years and older.$131 children 5-11.